Secondary prevention of coronary artery disease (CAD): Evidences, evidence based guidelines, and real life practices. The prevalence of cardiovascular diseases is rapidly rising. In India, coronary artery disease is one of the leading causes of death. Evidence based guidelines are recommending multiple drug therapy (statins, aspirin, ACE-I and beta-blockers) for the prevention of CAD. Clinical data for the secondary prevention of CAD are endorsing significant mortality benefits with these evidence based therapy. In real life clinical practice, there is inadequacy of prescription for these evidence based poly-pharmacotherapy for the prevention of CAD. Further, chronic poly-pharmacotherapy is associated with poor adherence to the treatment. This poor adherence to the chronic preventive therapy has been found to be one of the major indicators for poor clinical outcome. Various clinical studies have established that FDC are associated with better patientsâ€™ compliance which can translate into better clinical outcome. Ashok Jaiswal. Secondary prevention of coronary artery disease (CAD): Evidences, evidence based guidelines, and real life practices.. Natl J Physiol Pharm Pharmacol. 2011; 1(1): 9-22. Ashok Jaiswal. 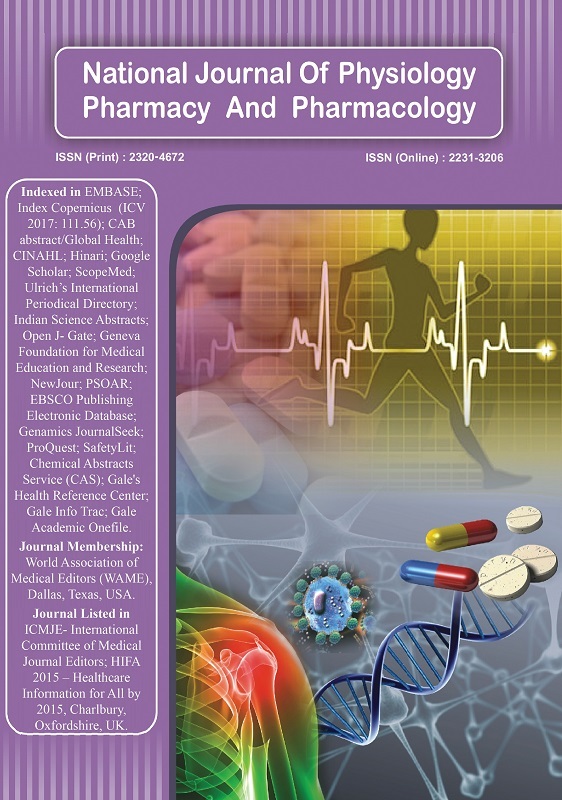 Secondary prevention of coronary artery disease (CAD): Evidences, evidence based guidelines, and real life practices.. http://www.njppp.com/?mno=6590 [Access: April 26, 2019]. Ashok Jaiswal. Secondary prevention of coronary artery disease (CAD): Evidences, evidence based guidelines, and real life practices.. Natl J Physiol Pharm Pharmacol. (2011), [cited April 26, 2019]; 1(1): 9-22. Ashok Jaiswal (2011) Secondary prevention of coronary artery disease (CAD): Evidences, evidence based guidelines, and real life practices.. Natl J Physiol Pharm Pharmacol, 1 (1), 9-22. Ashok Jaiswal. 2011. Secondary prevention of coronary artery disease (CAD): Evidences, evidence based guidelines, and real life practices.. National Journal of Physiology, Pharmacy and Pharmacology, 1 (1), 9-22. Ashok Jaiswal. "Secondary prevention of coronary artery disease (CAD): Evidences, evidence based guidelines, and real life practices.." National Journal of Physiology, Pharmacy and Pharmacology 1 (2011), 9-22. Ashok Jaiswal. "Secondary prevention of coronary artery disease (CAD): Evidences, evidence based guidelines, and real life practices.." National Journal of Physiology, Pharmacy and Pharmacology 1.1 (2011), 9-22. Print. Ashok Jaiswal (2011) Secondary prevention of coronary artery disease (CAD): Evidences, evidence based guidelines, and real life practices.. National Journal of Physiology, Pharmacy and Pharmacology, 1 (1), 9-22.